The Hispanic Honors Society and UCCS Circulo de Espanol club are sponsoring a free event, open to all students and the general public. 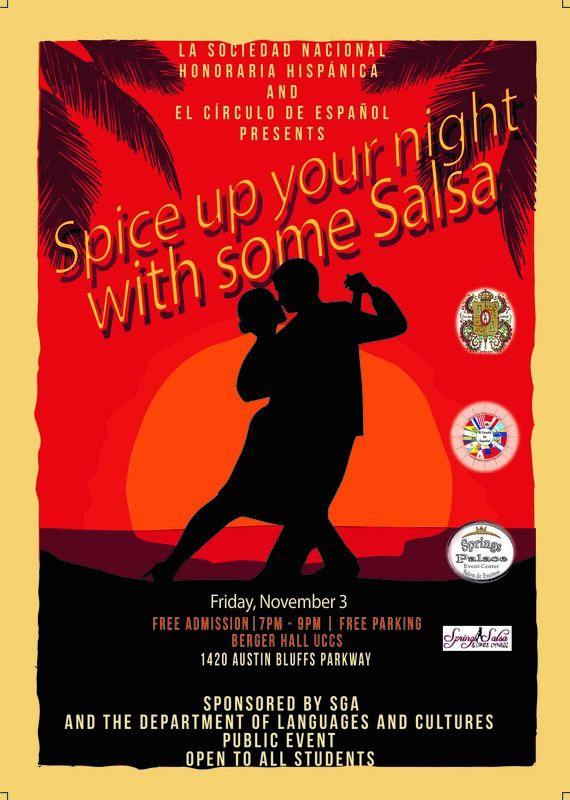 There will be a Salsa dance instructor on site who will be teaching the basic moves and steps of the dance. 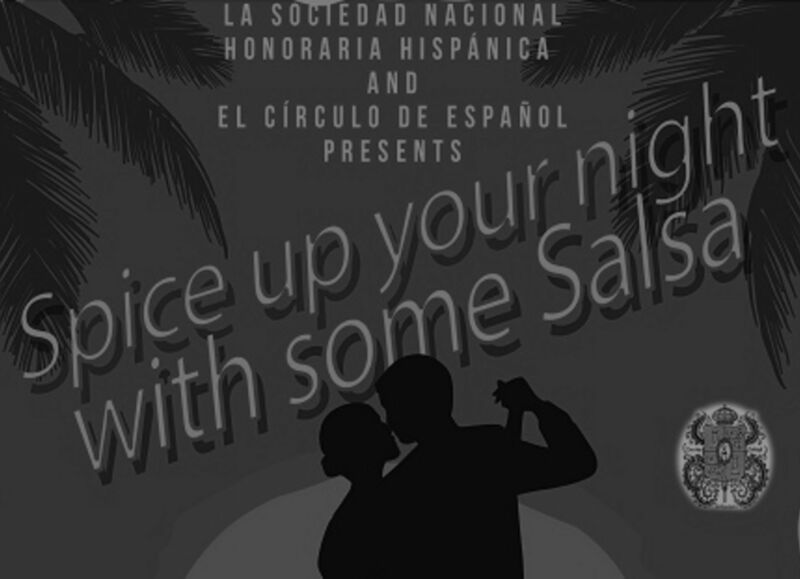 They will be providing educational information about the origins of the dance. The instructor will mingle and make the event interactive. Los Chinelos will perform an interactive dance along with a four minute educational presentation about the origins of the dance. They will be wearing ethnic garments with embroidered symbols and historical images about the indigenous people of Morelos, Mexico. The performers will be available for photos after the event. *There will be free chips and chips and salsa for guests during the event.